Raumfahrt+Astronomie-Blog von CENAP - Blog: Raumfahrt - Is GSLV MK-3 fully ready to launch heavy satellites from India? ISRO's Geosynchronous Satellite Launch Vehicle-Mark III (GSLV-Mk III) is capable of launching four-tonne satellites in the Geosynchronous Transfer Orbit (GTO). The rocket is also capable of placing up to eight tonnes in a Low Earth Orbit (LEO), enough to carry a manned module. Many say that this could be the rocket that the ISRO may use for India first manned spaceflight program, Gaganyan. Now the question arises, why the ISRO chose to go for 2.5 tonnes GSAT-31's launch earlier this month from French Guiana onboard Ariane-5 when India has its own launchpads in Shriharikota. Firstly, the Ariane-5 launch vehicle has a good track record of launching heavy satellites into geostationary transfer orbits with great precision. Ariane-5 can carry payloads weighing more than 10 metric tons to geostationary transfer orbit (GTO) and over 20 metric tons into low-Earth orbit (LEO). ISRO also has heavy duty launch vehicle- the GSLV series. The payload capacity of the GSLV Mk-2 is about 2 metric tonnes to GTO which will not be able to insert this satellite into orbit. GSLV Mk-3 has a payload capacity of 4 metric tonnes to GTO. GSLV-Mk III, which is a three-stage vehicle with two solid motor strap-ons, a liquid propellant core stage and a cryogenic stage, could have technically launch GSAT-31 into GTO. The probable reason could be this. Launch contracts are often done a couple of years ahead of the launch for such large satellites. Since GSLV Mark III was then technically still in the developmental phase, ISRO might have taken a decision to go with Ariane-5, in case GSLV Mk III development gets delayed. GSLV Mk III is designed to carry 4 ton class of satellites into Geosynchronous Transfer Orbit (GTO) or about 10 tons to Low Earth Orbit (LEO), which is about twice the capability of GSLV Mk II. 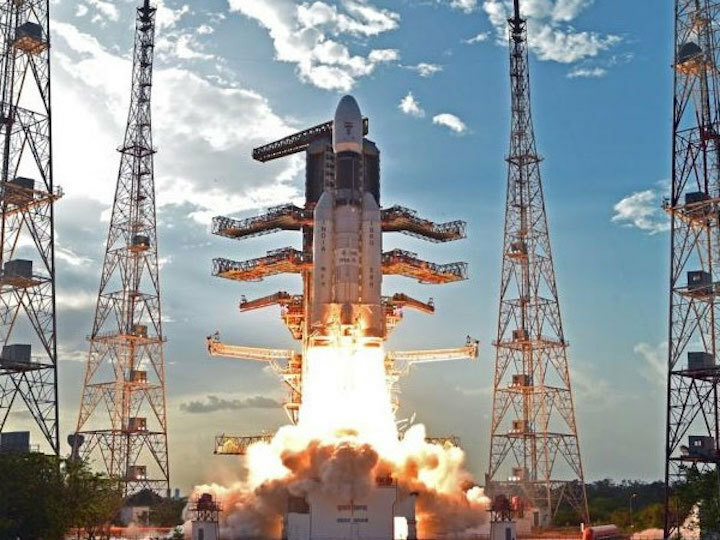 GSLV MkIII-D2, the second developmental flight of GSLV MkIII, successfully launched GSAT-29, a high throughput communication satellite on November 14, 2018, from Satish Dhawan Space Centre SHAR, Sriharikota. GSAT-29 satellite weighed 3423 kg, far heavier than GSAT-31. So, GSLV-MK-3 will be operational to carry commercial satellites soon, a crucial step that will enable India's space agency to compete globally in the 3-4 tonne category of satellites.